Groups and organisations have from today until January 18th 2019 to apply for grants, which will enable them to start or further develop a community food-growing project in their area. The Energia Get Ireland Growing Fund will be split across three categories, ‘Sow’, ‘Grow’ and ‘Harvest’ with awards ranging from €500 to €2,000 with one group selected to receive €5,000. 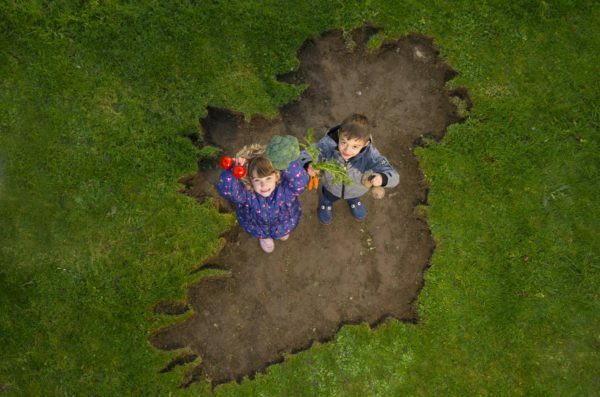 Together Energia and GIY will support at least 86 community food growing groups from all across the island of Ireland. Launching the initiative, the founder of GIY Michael Kelly said, “We are delighted to open the €75,000 2019 fund and look forward to rewarding the community champions who are putting food back at the heart of their communities. The Energia & GIY Get Ireland Growing Fund is one of the most creative awards in the area of food, and it is a real privilege to know that we can really help to make the most incredible food growing projects a reality for a huge number of people across Ireland. We look forward to getting as many applications as possible for the 2019 fund and we hope to deliver funding all across the nation.